Detroiter’s always have something to say. 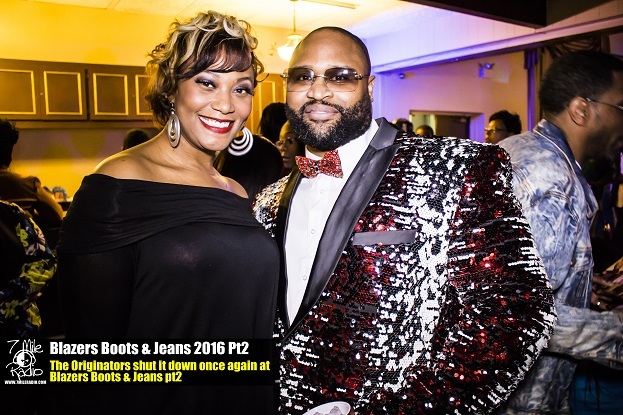 Can you say Blazers Jeans and Boots with a slamming DJ, good food and dancing all night. Well that’s the awesome night that The Originators gave Detroit for the 2nd time this year. 7mile Radio captured a night to remember and we loved it. T Elise was able to sneak the Originators away for a quick interview, we have J-Real, Rabs, Mike T and Emale. If you have never been to an event given by The Originators, then you’re definitely missing out on a good time. The house was packed, the Blazers were original and the Boots were standing tall. The Blazer of the night goes to DRUM ROLL PLEASE…… Mike T of The Originators . This brother did Glitts and Glam justice in a debonair fashion. So on the next annual Blazer-Jeans-Boots affair, Detroit lets say a lot more and remember to always keep it Original.